There is a pressing need for informed expertise from virtually all fields of academic research (e.g., with regards to matters of climate change, innovation, migration). Policy makers and research funders therefore place the question of societal impact at the top of their agenda. However, knowledge transfer, as the skills and knowledge necessary to make research accessible beyond the academic sphere, often plays only a minor role in university curricula and the daily routines of research institutes. This three-day training programme is tailored to up-and-coming researchers who want to learn the skills necessary to maximize the impact of their research beyond academia. The sessions will be held by renowned experts in their respective fields and cover the three dimensions of scholarly impact: economic, political, and media impact. The training is aimed at up-and-coming researchers from all disciplines (e.g., PhD students, postdocs, junior faculty). In the course of the training, participants will understand concepts and tools of science impact as well as science transfer and learn how to apply them to their own research. Participants are asked to apply with a letter of interest, giving a brief overview of one of their own research topics and how the training could increase the societal impact of their research (approx. 500 words). The training is limited to 25 participants. Participation is free. Participants can apply for a travel allowance of up to 200 € (depending on the expenditures that will be actually incurred). In that case, please include a statement and a short explanation of the costs to your application. Applications should be sent to Susanne Melchior (s.melchior@zbw.eu) by August 10th, 2018 with the subject line “Impact School 2018”. The training is divided into three modules, representing three different impact dimensions: (1) media & society, (2) politics, and (3) business. Societal and media impact includes interaction between researchers and actors from civil society, like scientific journalism and citizen science. Political impact focuses on how research can support informed political decision-making. Business impact is generated when scientific insights are converted into business models, for example, in spin-off companies or patents. Each day of the three-day training focuses on one of these impact dimensions. Three different training formats are used: Practice sessions (P) involve practitioner experiences and active discussions between experts and practitioners (2 hrs). Theory sessions (T) are upfront and input-oriented (2hrs). Skill sessions (S) are designed as interactive workshops in which participants learn skills relevant for the dissemination of their research (4 hrs). A schedule will be updated shortly. 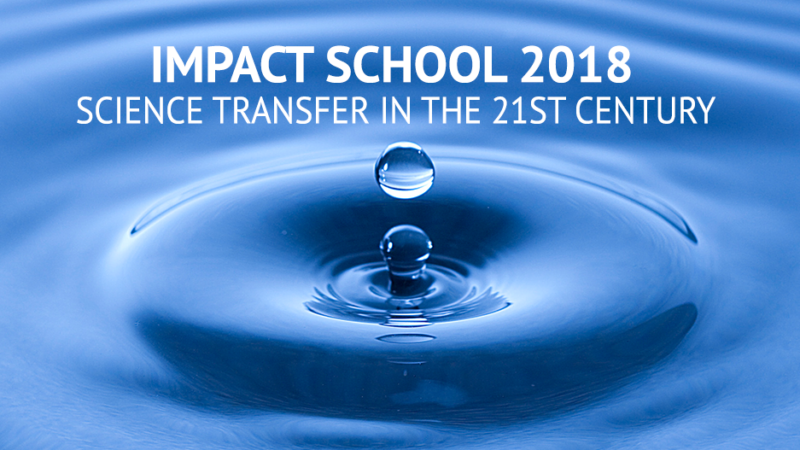 The impact school of the Leibniz Research Alliance Science 2.0 is organised by Impact Distillery (mStats DS GmbH), the German Institute for Economic Research (DIW), the ZBW – Leibniz Information Centre for Economics and the Alexander von Humboldt Institute for Internet and Society.